How well do you know the food that is on your plate? Do you know anything about the farm it was grown on? Where it was located? What the climate was like? Was it a large or small farm? And what about how it was processed after it left the farm? These are important questions, yet for a lot of what we eat, we haven’t a clue about the answer to any of them. A lot of what we eat is anonymous. 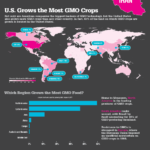 These days, there is growing interest in reconnecting to our food. 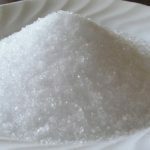 While his can be a daunting task, for certain foods, it is easier because their value derives from their role as part of a food tradition, and someone has taken the trouble to protect their identity. Among the best examples of this are the specialty cheeses of Europe. In France, Italy, Switzerland and Spain many cheeses are protected by denomination of origin standards. These are laws that protect particular cheeses from being copied or misrepresented. 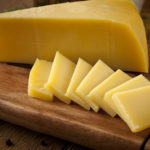 In effect, it is an “identity card” which stipulate for each “named” cheese where the milk comes from, important details of production such as in what manner and how long it is aged, and specific attributes of the final product including fat content, appearance and taste. 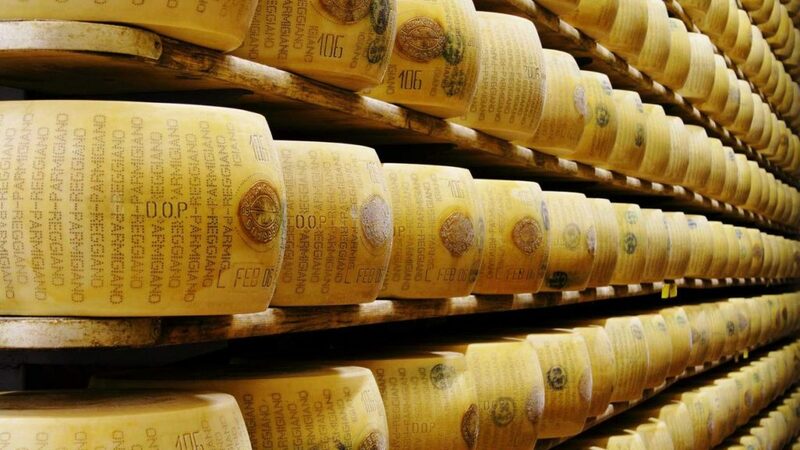 For example, “Parmegiano-Reggiano” which is the genuine Parmesan cheese, can only be made in a specific geographic area around the Emilia-Romagna region of central Italy. It must be made only between April 15 and November 11, to ensure that the milk comes from cows pastured on fresh grass instead of dried up fodder. Wheels are required to weigh at least 66 pounds and no more than 88 pounds. And it must be aged for at least 14 months. 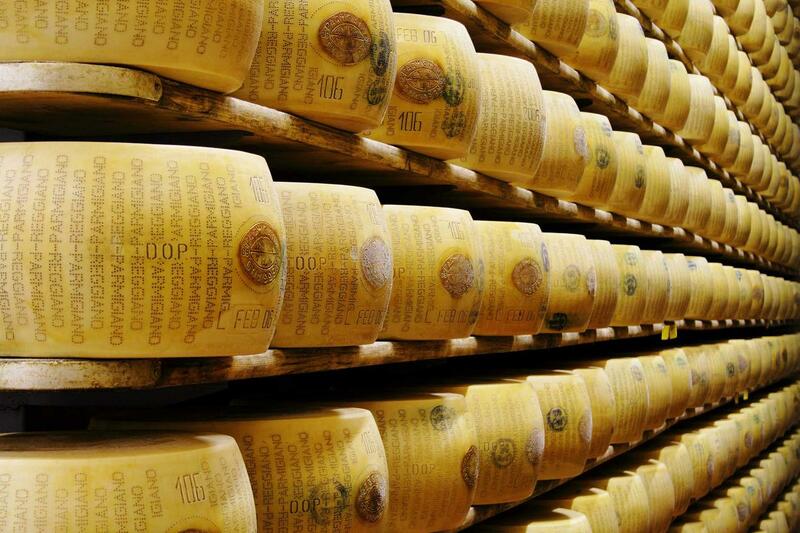 Denomination of origin standards have helped to protect the authenticity of many of the world’s great cheeses. In France, 32 cheeses enjoy this designation, and in Italy 25. What these standards do is provide a meaningful I.D. for each of these cheeses, an I.D. which tells us a good deal about who they are, where they come from, and how they are made. So when you eat them, you are not eating something anonymous. I have tried many of these cheeses, and they certainly don’t taste anonymous. Parmegiano-Reggiano makes the other so-called “Parmesan” cheeses taste bland in comparison. Similarly, I recently sampled some Fontina D’Aosta, a semi-firm cow’s milk cheese and marveled at the complex earthiness of it’s flavor. It was as if traces of the pasture in which the cow lived were embedded in the taste of the cheese. Here is a recipe which uses authentic Pargegiano-Reggiano. While the real thing costs more than its imitators, it is so hugely flavorful that it is more than worth it. 1. Preheat the oven to 425°. Position a rack in the upper and lower thirds of the oven. In a food processor, pulse the butter with the garlic and cheese until smooth. Scrape the butter into a small bowl and season lightly with salt and pepper. 2. In a large bowl, toss the broccoli spears with the olive oil and season them with salt and pepper. Spread the broccoli spears on a large rimmed baking sheet and roast for 10 to 15 minutes, stirring once, until the broccoli is crisp-tender and browned on the bottom. 3. Preheat the broiler. Return the broccoli spears to the bowl and toss with the garlic-cheese butter. Transfer the broccoli to the baking sheet, scraping all of the butter in the bowl onto the spears. Broil 6 inches from the heat for 2 to 3 minutes, until the butter is golden in spots. Transfer the roasted broccoli to a platter and serve.